Happy Friday, Noshers! This week was quite eventful – I had my first jury duty experience, for one. That was certainly an eye-opening experience! What weekend plans do you have? I will be meeting up with my family for a Father’s Day celebration/brother-in-law birthday party/my birthday party combo! Fun times! 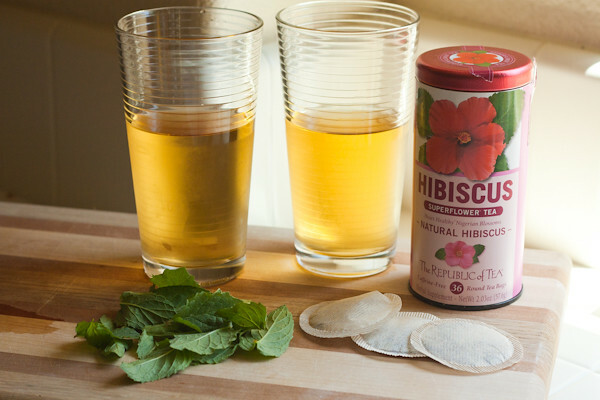 The ingredients for one of my favorite iced tea recipes, from my friend Kim’s blog! I love iced tea – I usually get it unsweetened! Are you an iced tea fan?